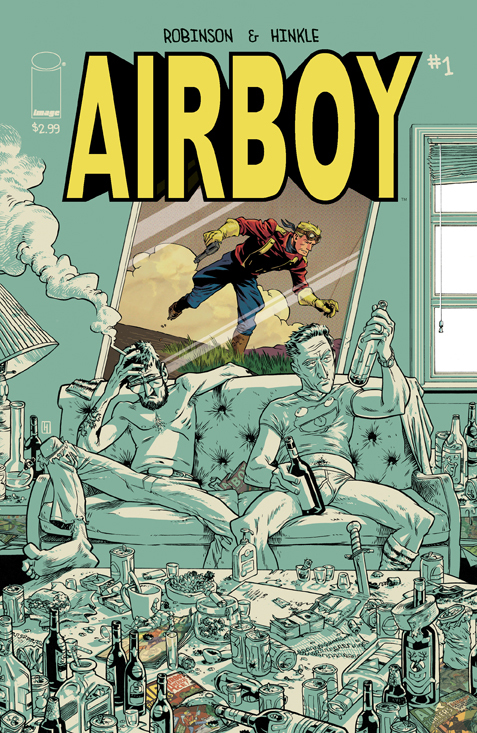 The Fellowship was fortunate enough to obtain a copy of AIRBOY #1 from Image Comics. The story is by James Robinson, with art and lettering by Greg Hinkle. What a deliciously dark, sometimes depressing, yet also humorous tale, and an eye-opening experience reading this issue. It is art imitating life imitating art in a weird way. Hinkle’s art is impressive and really supports the unique story that is unfolding. If you haven’t figured it out yet, the book is NOT about Airboy per se, but the book is worth picking up. I’m a little late to the Robinson fan bandwagon (Earth-Two, All New Invaders, Fantastic Four, plus a few earlier books), but I’m here now and enjoying the ride. AIRBOY #1 is in stores now, or available for ordering at Imagecomics.com.